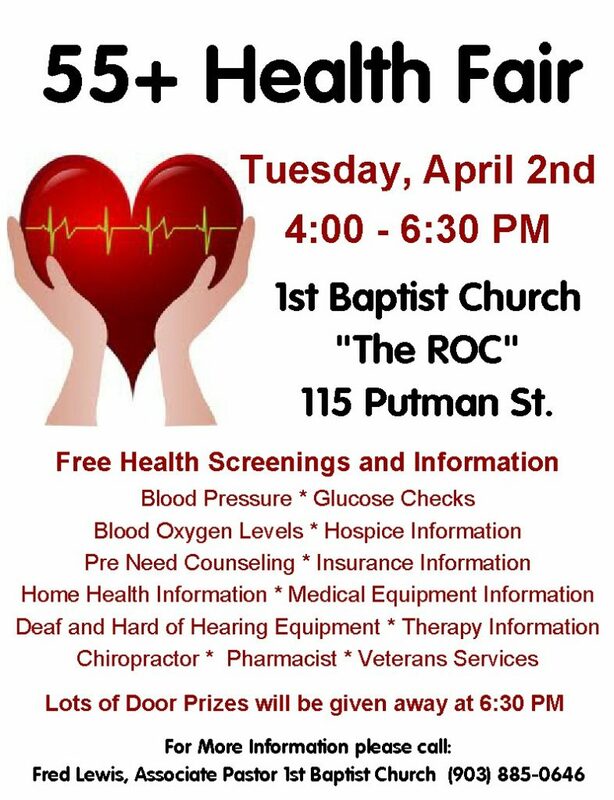 A free health care fair for those over 55 will be held tomorrow from 4pm – 6:30 in Sulphur Springs at the ROC of First Baptist Church. There will be health screenings and lots of information available from health care organizations. There will also be free door prizes. For more information, call Fred Lewis at 903.885.0646.